This Post has already been read 399 times. 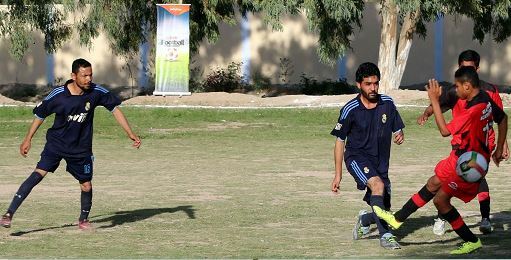 The Knockout stage and qualifiers of Ufone Balochistan Football Cup are underway. From Khuzdar, Khudai Dad Qalandarni Football Club (FC) has booked their place for the eliminator round. Two knockout matches were played at Balochistan Residential College Ground on 15 March. On 16 March, a thrilling qualifier between Khudai Dad Qalandarni and Babe Balochistan FCs took place at Balochistan Residential College ground. After a close contest, Khudai Dad Qalandarni won the match 3 – 2, and qualified for the eliminator stage that will take place in Quetta on 27 March. From the winning team Tauseen Ahmed, Muhammad Saeed and Beberk scored one goal each.